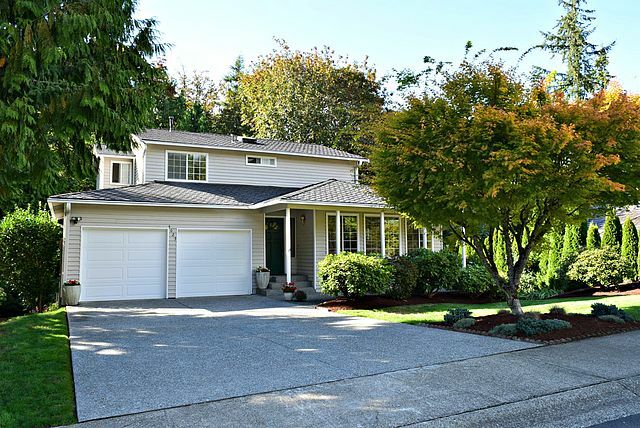 Pride of ownership throughout this 3 bdrm, 2.5 bath home in sought after Timberline. Beautifully updated Island kitchen offers slab granite counter-tops, cherry cabinetry and stainless appliances. Adjacent family room opens to entertainment sized deck overlooking peaceful private setting. Formal living and dining areas. Spacious master suite. Unfinished 900 sq. ft. basement could be easily turned into the space you’ve always dreamed of. LKW schools, community parks & walking trails. Welcome Home!